Mens Ralph Lauren Polo Shirt Size Medium navy green. Used but excellent condition . Dispatched with Royal Mail 2nd Class. ralph lauren polo shirt medium slim fit. Condition is Used. Dispatched with Royal Mail 1st Class. Ralph Lauren Polo Shirt Medium Mens. Dispatched with Royal Mail 2nd Class. Excellent Condition - Zoom in on Pics for Close Up. Men’s Designer Ralph Lauren Custom Fit Polo T-Shirt Medium Short Sleeved. In Navy, Blue and White. In Excellent Used Condition. Please have a look at my other items as I am selling several similar items. I’m happy to combine postage. Please see my 100% feedback. Please note I do not post outside of the UK. Men’s Designer Ralph Lauren Custom Fit Polo T-Shirt Medium Short Sleeved. In Navy Blue. In Excellent Used Condition. Please have a look at my other items as I am selling several similar items. I’m happy to combine postage. Please see my 100% feedback. Please note I do not post outside of the UK. 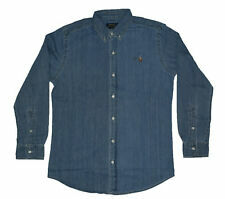 Mens Polo Ralph Lauren S/S Slim Fit Shirt Medium. Brand new condition. Comes from a pet and smoke free home. Dispatched with Royal Mail 1st Class. Polo Ralph Lauren White Short Sleeve Polo Shirt Medium. Dispatched with Royal Mail 1st Class. Never Worn, Real Ralph Shirt. Purple and white stripped shirt VERY GOOD CONDITION Watchers Send me a Offer- I’ll be happy to negotiate. Happy Biding. Ralph Lauren Mens Blue Polo Shirt size Medium slim fit used Condition. Men’s Designer Ralph Lauren Custom Fit Polo T-Shirt Medium Short Sleeved. In Light Blue. In Excellent Used Condition. Please have a look at my other items as I am selling several similar items. I’m happy to combine postage. Please see my 100% feedback. Please note I do not post outside of the UK. men's RALPH LAUREN Medium, Striped Polo Shirt VGC Authentic. Condition is super just usual fade where collar folds no bobbling. Green pony pit to pit 20” Close pic of label shows colour yellow a soft yellow They are £135 for something similar on website now Grab a bargain Dispatched with Royal Mail 2nd Class. Polo Ralph Lauren Slim Fit Cotton Poplin Shirt - White *Medium*. Condition is Used. Dispatched with Royal Mail 1st Class. Men’s Ralph Lauren Grey Polo Top Size Medium. Dispatched with Royal Mail 1st Class. Size Medium 22.5” Across Chest, 30” Length Relaxed fit 100% Pima Cotton Midweight t-shirt style fabric Stunning striped design Fully embroidered logo to chest in jade green Branded buttons Hardly worn so excellent condition. Genuine Ralph lauren polo shirt medium. Condition is Used. Dispatched with Royal Mail 1st Class. ralph lauren polo shirt medium slim fit. Dispatched with Royal Mail 1st Class. Mens Ralph Lauren Polo Shirt Size Medium. Condition is Used. Dispatched with Royal Mail 2nd Class. 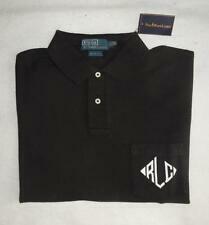 Men’s Ralph Lauren Polo Shirt, Custom Fit Size Medium. Unwanted gift, not right size for me. From pet free and smoke free home. Dispatched with Royal Mail 2nd Class. Ralph Lauren Mens Long Sleeve Wool Navy Polo Medium. 94% wool 6% polyester Received as a present but never used as it is too small. In perfect conditions. Comes from a smoke free/pet free home. Dispatched with Royal Mail 1st Class or 2nd Class. Ralph Lauren Mens Long Sleeved Polo Shirt Medium. Very Good Condition Dispatched with Royal Mail 1st Class Signed For. Uk Shipping Only. 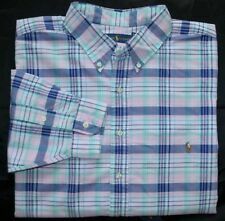 Polo Ralph Lauren Mens Shirt Medium Pink . Condition is excellent used. No marks, only worn a couple of times. collar is 15.5 inch, but my usual size is medium/large so makes a great casual shirt at that size. Any questions, feel free to ask and check out my other shirts for sale too. Dispatched with Royal Mail 2nd class signed for. 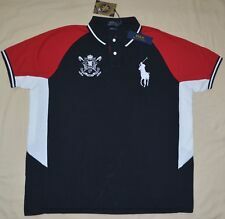 mens ralph lauren polo shirt medium. Condition is New with tags. Dispatched with Royal Mail 1st Class. mens Ralph Lauren polo shirt size Medium. Condition used but only worn once like new condition. Mens Polo Ralph Lauren Cotton Shirt Classic Fit Size Medium On Sale 80% OFF! Light purple Ralph Lauren polo – medium man custom fit.